Now, this face oil is without a doubt one of the most sophisticated ones I have EVER tried in terms of texture. When you dip a drop or two on your skin or into the palm of your hand, it feels like drops of water. Massage it lightly into the skin and you feel the traction of the lightest oil under your fingertips. Something that I am still in awe of two months after starting to use this face oil. Formulated with anti-ageing Fireweed, a super hydrating ingredient that promises to reinforce skin’s barrier function, often undermined by excessive scrubbing, peels and inflammation, as well as lifestyle choices and city pollution, expect help with protecting your skin’s elasticity and increasing diminished glow. Highly-prised oils of Pomegranate, Prickly Pear and Buriti Fruit work alongside smoothing, anti-irritant Ginger Root to rehydrate, tone and protect skin cells from the negative effect of regular sun exposure. A trio of dry oil superheroes – Abyssinian, Fireweed and Meadowfoam – help to balance and hydrate the skin when it needs it, while also ensuring quick absorption. There are also the power of Vitamin C, Beta-carotene and Omegas 3,6 and 9 hard at work, helping improve collagen synthesis that gets decreased with age and fortifying the skin. 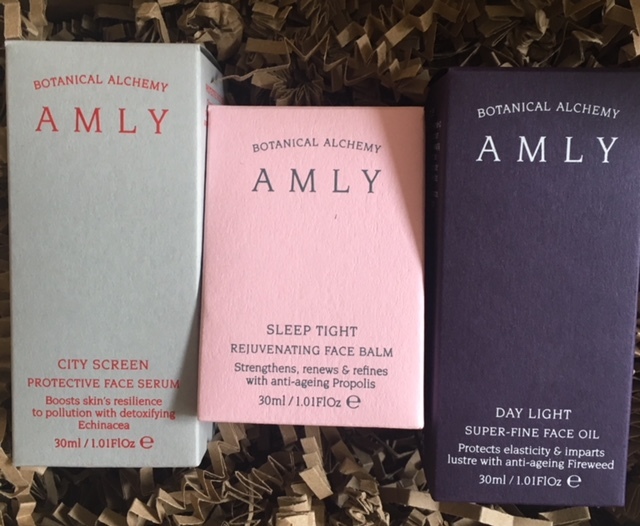 One of the joys of discovering those skincare launches from Amly is the knowledge that Kerry and Lisa share when it comes to their product descriptions. 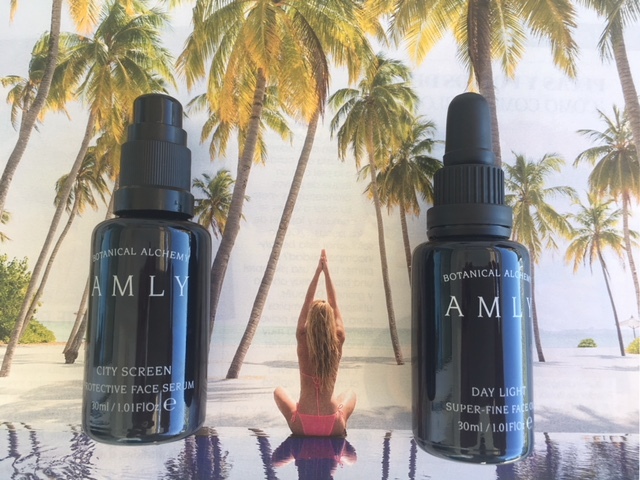 It’s not just the fact that this face oil, for example, is packed with Essential Fatty Acids and Polyphenols that in combination help to treat sun damage, redness and irritation, but that Prickly Pear and Pomegranate are photo protective ingredients and in synergy within this formula help repair UV damage. Or that Vitamin E, Prickly Pear and Raspberry Seed protect the skin against daily oxidative stress and free radicals, as well as ‘polluaging’, premature skin ageing caused by pollution particles. Educating yourself when it comes to skincare is incredibly important, because it helps you make better choices when it comes to your skin and making sure it looks good and remains healthy through different life stages. As I was editing my thoughts on this particular product, my mum was sitting next to me at the table on the patio during our family break, and she asked me a question that was possibly intended to throw me a little. Laughing at the amount of beauty products I travel with, she asked if I truly believed in product descriptions and their efficacy. After thinking for a minute, I honestly replied that in some cases I actually do simply when I know the brand and its founder/s well and have used the products in the past. With most I actually don’t, because there are too many promises made or slogans that are empty, meaningless and simply repetitive. Overall, there are very few exceptional brands that craft unique and effective products that deliver results consistently. I am not suggesting that you trust the content of the bottle, like Alice in the Wonderland and big up your expectations simply of the promise on the bottle. Instead direct your gaze at the brands that are driven by passion and knowledge, and founders who don’t rest on the laurels of their initial success, but strive to create something that will benefit the skin for weeks and months to come, creating a cumulative effect of increased glow, healthy, even skin, whatever age or type it is. A product that delights you and your skin every time you use it, making you feel beautiful bare-skinned. Top Tip: Use on slightly damp skin for even swifter and better absorption. 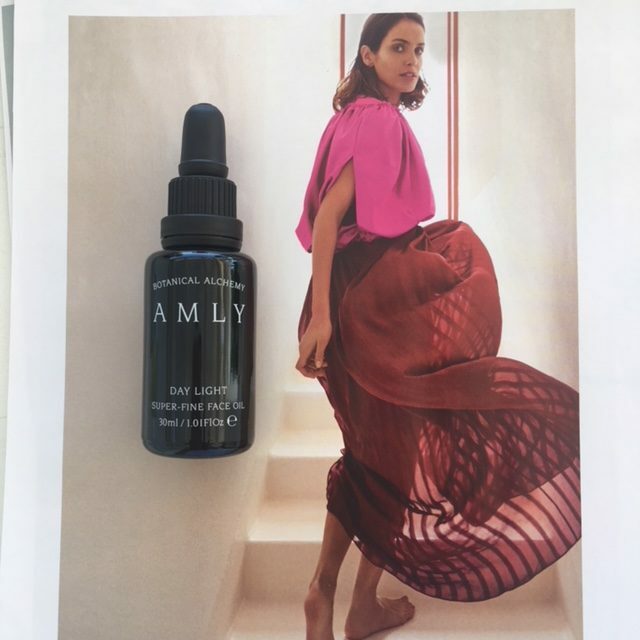 The synergy of this Face oil can be further enhanced when used after a spritz of Amly Radiance Boost Face Mist. This face balm looks and feels like a veritable indulgence for skin and the senses every time you use it. We all want effective skincare that delivers results, but when a product makes you feel like you are having a mini-facial or spa experience on top of that, it becomes impossible to resist. 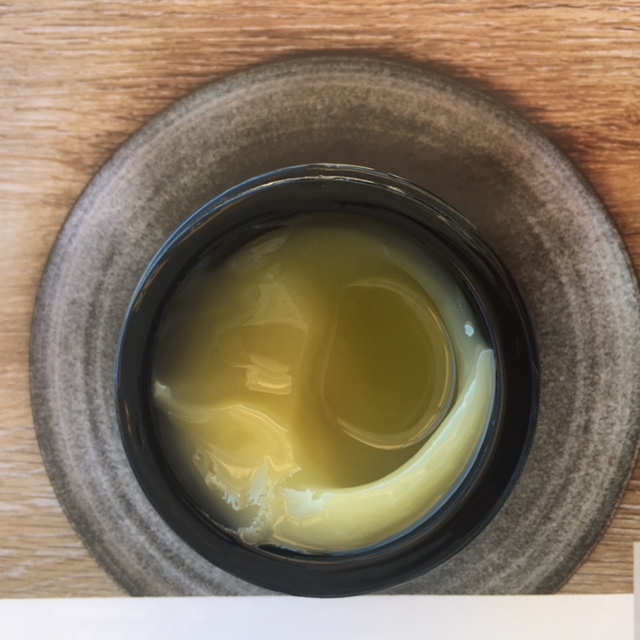 One of the reasons why the balm has a particularly light texture, like a slightly solidified face oil, is the Propolis Extract or ‘bee glue’ as Amly creators call it. Propolis extract has multiple benefits for humans, internally and externally, but in this instance Lisa and Kerry incorporated it into this product due to its powerful age-proofing properties and based on research that proves that with regular use it can help reduce the depth and volume of wrinkles, by plumping them up, while also helping replenish the skin. In addition, there is a combination of potent vitamins and fatty acids that harmoniously work together to improve skin’s natural cellular renewal and help skin look and feel more supple – a good enough reason to extend application of this mask beyond your face down to the neckline, massaging the balm in and increasing the circulation within your skin layers and helping the product work more effectively when it sinks in. There is Sea Buckthorn, derived from fresh orange berries that ripen in the summer and autumn and boost your body’s immunity in colder months of the year. It is also a rich source of precious Omega 7, which helps to block free radical damage and heal the skin after sun exposure. Rosehip Oil was included due to its regenerating properties and helping minimise wrinkles and sun spots, something that seems to be increasingly relevant as the effect of direct sun rays lately seems to have been increasing. As someone who has various moles dotted around face and body I noticed that in the last few years I arrive back from the summer travels in the sun with more of them on my skin (note: checking your moles by a qualified professional annually for any changes is essential and if you have any concerns about the changes in any of its appearances in-between appointments, you are better off going to consult the GP, rather that leaving it and missing an important sign of skin cancer that can be fast & deadly). There is also nourishing Evening Primrose Oil, an ingredient that comes often comes highly recommended by dermatologists and facialists because it helps to relieve inflammation, and healing Borage and Calendula oils that soothe and soften the skin, while reducing the stress levels through its comforting scents. A particularly noteworthy aspect of this face balm is its Buddha-like calming, yet uplifting scent. Sleep-Inducing essential oils of Valerian, Linden Flower, Lavender and Rock Rose help relieve anxiety and tension, which can help improve your restless sleep patterns, if you suffer from them, or make your sleep more restfully and deeper, if you don’t. Familiar notes of Roman Chamomile and Clary Sage help comfort mind and body, as if burning palo santo in the room and getting rid of the bad vibes. Unlike the other two products, this one comes in a glass jar with screw on lid, something that is done in part for practical reasons. When the weather is hot, the balm separates in the jar a little, part of it liquifying. When this occurs, I mix it with a clean glass straw or spatula and then put into the fridge – something that only enhances the overall luxurious feel of the product, without impacting its quality. 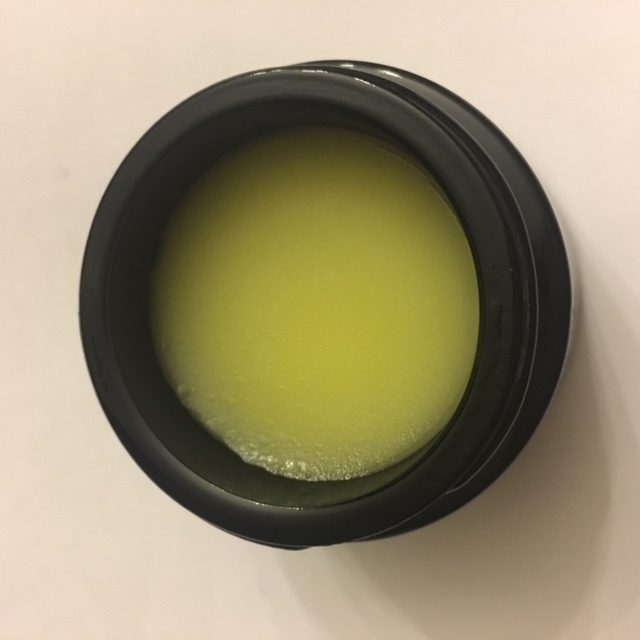 Applying this balm to the skin is akin to anointing, setting the intention for speedier renewing process for the skin overnight, while you get some restful sleep. 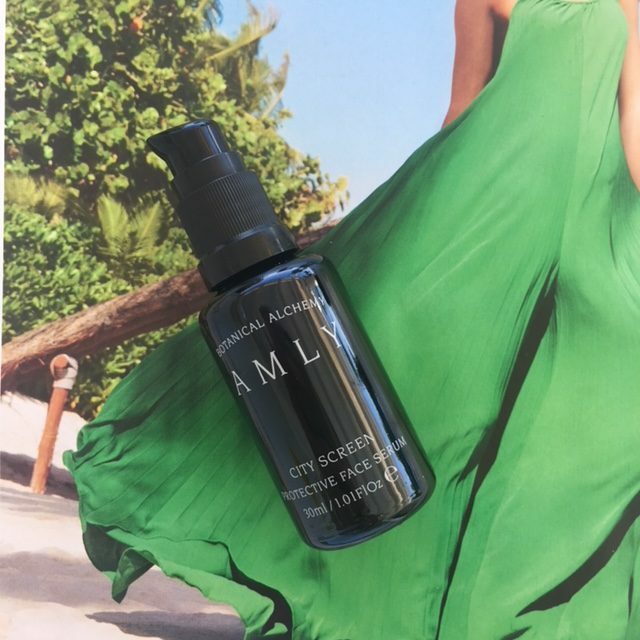 Top Tip: for increased effect, apply this mask-like balm after spraying your face generously with Amly Beauty Sleep Face Mist after cleansing, letting the mist first sink into the skin or tapping the balm gently into the skin. 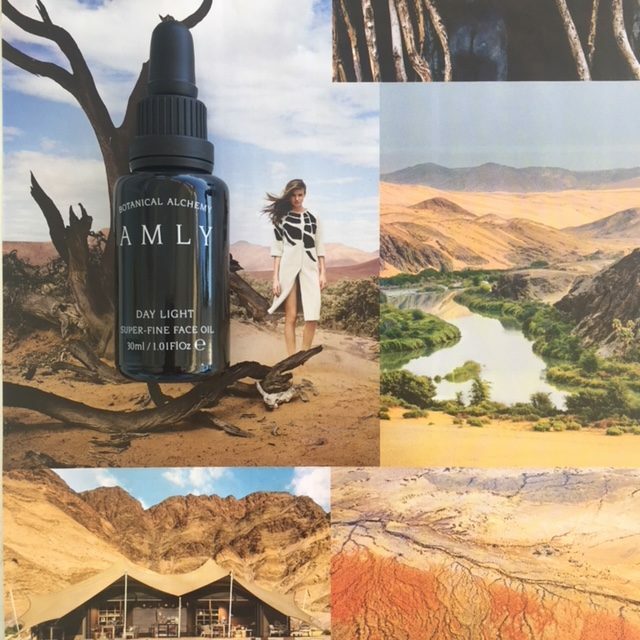 There are products that look and feel so luxurious that come across almost intimidating, but Amly for me represents sophistication and luxury of a different kind. Products that makes you think of presteen forests and fields deep in the countryside, where the air is cleaner and calmer. Where people move with ease and calm assurance, their steps un-rushed and their foreheads unfrowned. Where the winds and sun are gentle on your face, making you feel content to just be, imperfect as you are, but so unique as a human being. For more information about Amly and its products, please click here. Amly offers complimentary shipping for its UK customers.